Jollibee has been a part of every growing Filipino kid's life. Back in the 90s when I was still in grade school, my mom would treat me to Jollibee after each grading period. I would always get the Jolly Spaghetti and the Jolly Hotdog. Then I grew up as everyone does. Each trip to Jollibee these days have become a nostalgic ride. Last July 4th, Saturday I was invited to join the official launch of the famous nationwide campaign: I Love You Sabada at SM City Lipa. The campaign seeks to revive the spirit of family bonding. The event was filled with joys, laughs and other activities like a short play from the Jolly Kiddie Crew from Jollitown. So this time, we can go ahead and break back these days when all that matters is you and your family. Spending time with them over the weekend, a simple picnic at the park, watch the latest movie and then top it off with a meal from Jollibee. Certainly this will become a routine and that your kids when they have their own, this will go on like a legacy. I would definitely do. Check out this throwback commercial of the original I Love You Sabado jingle starring Boy 2 Quizon. And this year, they kept the chorus and added a few lines to complete the song. Check out the latest campaign below. On another note, Jolliee and UNIQLO the Japanese retail giant collaborated to create a "Joy Fits All" line of shirts that is not only for kids but for everyone. 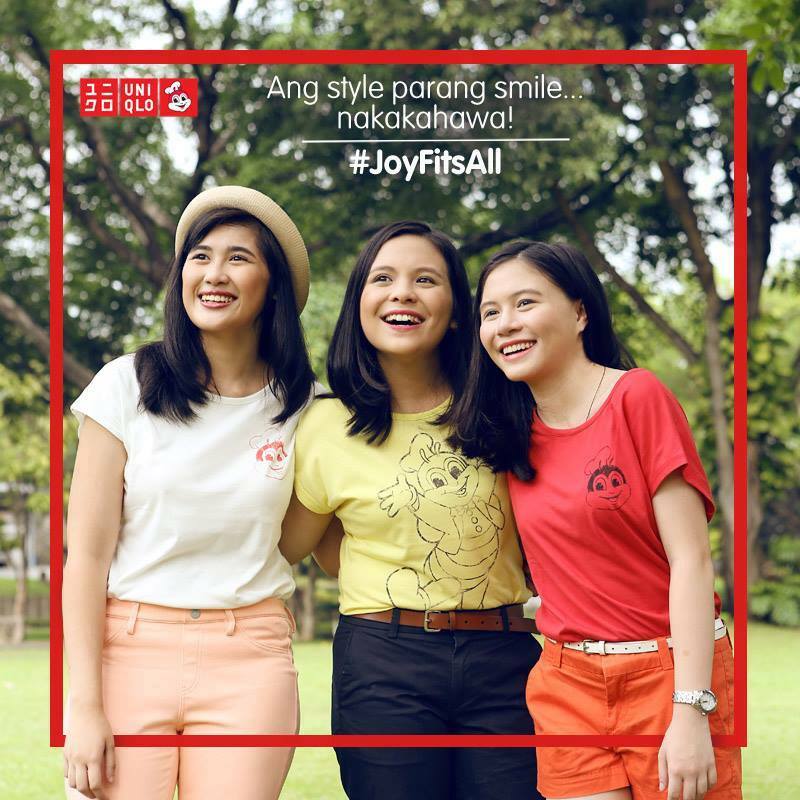 These Jollibee T-shirts are sold within Southeast Asia like Malaysia, Thailand, Indonesia and Philippines. Uniqlo's collaboration is the first of in a series of partnerships with other home grown brands with a global appeal. You can check out these clothing line at the nearest UNIQLO branch.